At the end of January 2019, PSL launched the HRS4R "Human Resources Strategy For Researchers" certification procedure, a European policy to improve the practices of research organizations and institutions in terms of recruiting and training for researchers. 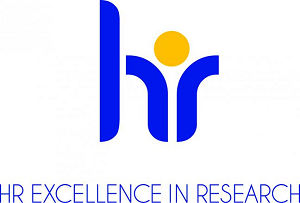 The Université PSL aims to obtain the HRS4R Award by the first quarter of 2021, in order to improve and promote the quality of its academic HR policy in France and Europe and improve access to European calls for proposals. To achieve the objective, the University has implemented a two-step methodology based on the principle of unity and knowledge transfer between members. Starting this year, three pilot institutions (Ecole Normale Supérieure, Paris-Dauphine and ESPCI) will prepare their applications to the European Commission. To this end, they will benefit from the experience of the Institut Curie, which has already been rewarded, as well as that of research organisations, and will receive the support of a specialized consultancy firm. From January 2020, Chimie ParisTech, EPHE, MINES ParisTech, Observatoire de Paris and Ecole des charters will also initiate the certification process based on the procedures, advice and best practices provided by the three pilot establishments. Throughout the process, a PSL steering committee, chaired by Alain Fuchs, will manage the coordination of all the actions carried out by the steering committees of each institution involved; the PSL committee support the 9 project managers concerned, all waves combined, to help them exchange and work together at all stages. Florence Gelin, Deputy managing director at Paris-Dauphine, is in charge of running this transversal program for PSL. The Strategy of Human Resources for Researchers (SHR4R) was implemented in 2015. This European Commission program offers guidelines to make an assessment and develop the HR practices within an entity aiming to the be awarded European recognition of good practices and structuring of the HR policy. The aim is to support and promote the mobility of researchers, the development of good practices, the transparency in the recruitment processes and the promotion of an attractive working environment.